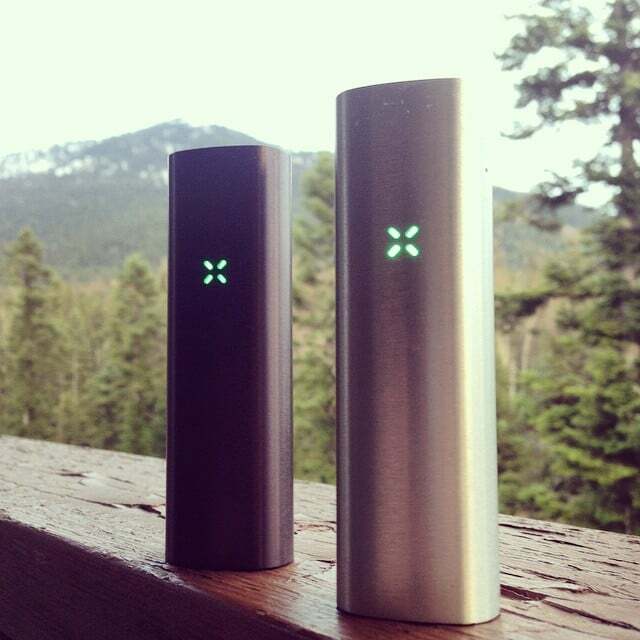 What are the differences between the Pax 2 and the Pax? 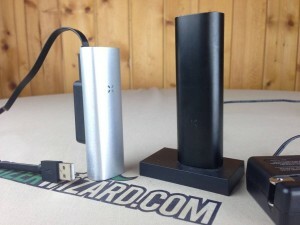 Throughout this Pax 2 vs Pax vaporizer comparison, I will break down all the Pax 2 upgrades like the “lip sensing technology”, new temp settings and also include a full photo gallery of comparison pictures. The new Pax 2 is a bit pricier than I had anticipated but after some pretty rigorous testing, I think the Pax 2 is a HUGE improvement over the original model. 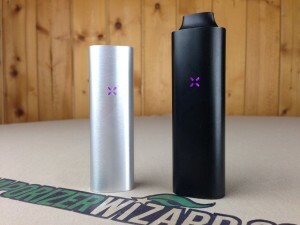 You can check out my full Pax 2 review that breaks down a lot of the similarities between the Pax and Pax 2 but I wanted to go ahead to write a full comparison/review of the Pax 2 vs Pax vaporizers as well. Cleaning has been drastically reduced and the newer model is about 25% smaller. 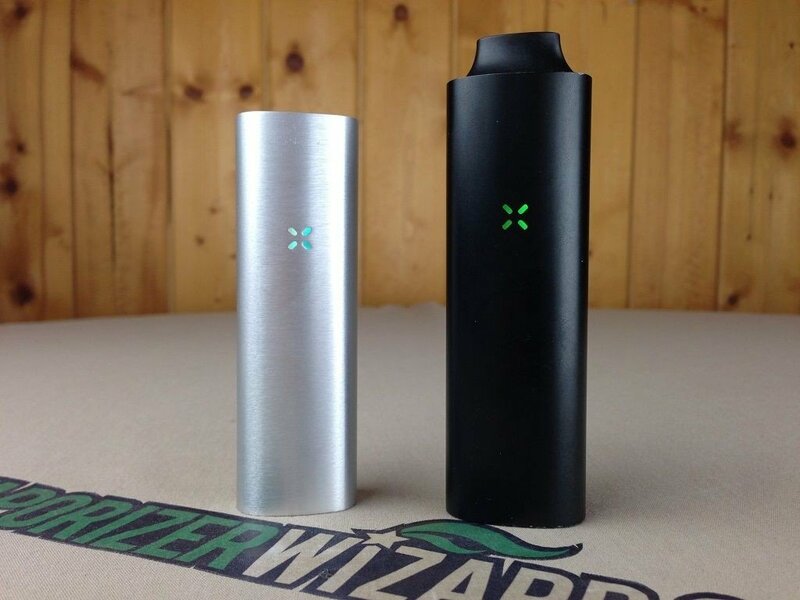 Read more below to get the all the differences between the Pax vs Pax 2. *The online authorized retailers of the Pax and Pax 2 I recommend are PaxVapor.com and Vapeworld.com. I highly recommend purchasing from an authorized dealer to make sure you get the 10 year warranty. Size –So first things first, the new Pax 2 is roughly 25% smaller and 10% lighter than the original Pax. I weighed out all my units and the original Pax was around 98 Grams while the Pax 2 was around 90 Grams. The main thing you notice right away is the size. Not only is the unit smaller but they completely removed the mouthpiece sticking out of the top. The new mouthpiece design sits flush along the top of the unit so they essentially just cut off like an inch and a half from the top of the unit and smushed everything together. Don’t get me wrong, both of these units are still extremely portable but the Pax 2 definitely replaces the previous model and it’s now my go to for outdoor activities like hiking, biking, skiing, etc… I still like the size and weight of the original Pax and they even reduced the price to $199 but I’d much rather pay the $80 extra for a smaller, newer, more maintenance free design. Heating – The heating has some big upgrades and all for the better. The new heater is designed around what they call “Lip Sensing Technology”. This allows the mouthpiece to sense when your lips are touching it and it then tells the heater to ramp up temp a bit to keep a much more stable environment in the oven (More even AVB). The Pax 2 comes with four heating settings which is an upgrade from three on the original model. The new temps range from 360F -420F (~180C – 215C) compared to the original Pax with three temps ranging from 370F – 410F (~188C – 210C). Chambers & Vapor Paths – Both units have a stainless steel oven and vapor path. The Pax 2 uses a different shaped oven which is deeper but not quite as wide. The Pax 2 oven is about 91% the size of the original Pax. I’m still able to get upwards of .4 grams in the Pax 2 chamber so it’s not that much smaller but the main thing I’ve noticed is that the sessions are much more consistent no matter how you pack it. I definitely get better results with the finishing grinder but it’s not necessary. I’ve also found that using the finishing grinder will add cleaning to your unit because the material is much finer. Batteries & Charging System – The original Pax used a dinosaur charging system which made the device sit upside down while placed on a charging dock. This caused build up from the materials in the vape to run down the chamber and into the mouthpiece which then caused problems with operation of the unit. You were constantly have to clean it and the charging system didn’t help the problem at all. The new charging system is night and day better. It’s doesn’t charge faster… (how is it better then? DUH?!) but it now uses a USB charging system and an external dock that just attaches to the unit magnetically. The USB charging opens up options are far as charging locations. You can also pick up battery packs pretty cheap now ($15-$30) that will full charge portable vapes multiple times over through USB. You are no longer stuck to an outlet or SOL when your Pax 2 dies. *BONUS TIP: You can use the OLD charging cord from the original Pax and plug it into the new charging dock so you can charge via electrical outlet. 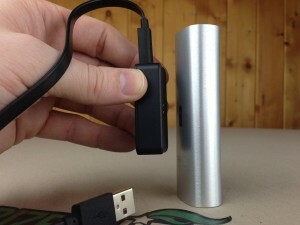 This charges the device much quick than USB. The Pax 2 claims a 30% increase in overall battery life which seems to be pretty accurate so far. I’m still doing more testing with average continuous use and charging times from dead battery (both USB and Outlet). Cleaning & Maintenance – This category was my biggest complaint with the OG Pax model and this is definitely where they improved the most with teh Pax 2. The newer unit completely scratched the old mouthpiece design and now the power/temp button is located on the inside of the unit and out of the vapor path. No more having to worry about cleaning the mouthpiece in order for your vape to work. The only cleaning I’ve had to do on the new unit is running the pipe cleaner through vapor path. You’ll notice the draw resistance increases as the vapor path gets gunked up. Summary – Both of these units are still great if you need portability but the newer version is without a doubt a top contender in the portable vaporizer market and far better than the orignal. They fixed the main complaints with the original version and they did it all while making it smaller. If you are trying to stay under $200 then Pax 1 is still a good option. I’m just not a fan of the cleaning associated with the unit. It still works extremely well in group situations and easy use while on the go but if you have the extra $80, I really recommend that you upgrade and go with the Pax 2. Either way, they both come with a 10 year manufacturer warranty and the PaxVapor/Ploom customer service team is absolutely fantastic. Probably top three in the business as far as customer care and product support. My personal favorite is the Pax 2 but the original Pax will always have a special place in my heart. The Pax 1 revolutionized the portable vape market and I’m fairly certain they will only continue to get better. *Important: I recommend you buy direct from PaxVapor.com or VapeWorld.com. They are both authorized dealers so you can be sure you will get a legit product and will be covered if you ever need product support. Thanks for checking out my site and leave a comment below if you guys have any questions about either of these units or any other vapes. 1.) The oven chamber was not insulated very well, the result being that you can smell the pot reeking when the unit is on, and even when off. Have they done anything to improve on that? 2.) The design created so much heat transference from the source that the mouthpiece would sometimes get too hot to use when drawing. Given that the new design is even more compact and the heat setting are slightly higher, I’m wondering if that issue is now even worse than before. 1. The unit does still smell when in use so I just turn it off early and try to draw out any remaining vapor before I throw it back in my pocket. I can’t really tell if its any more or any less. 2. I’ve had zero problems with the flush mouthpiece design getting hot. The other mouthpiece they include does get warm on my lips and that’s why I don’t use it. The flush mouthpiece is completely rubber so it doesn’t transfer a lot of heat like the old mouthpiece design. I think the Pax 2 is much better in this aspect. I do however feel like the Pax 2 body gets hotter overall and probably because of what you mentioned, size. So it’s not a huge deal in the fact that I’m not putting my lips on the side of the unit or near the oven but I did notice the increased heat on my hands. I want to buy a Pax 2 since ive had some original Pax and use it daily. My question is about vapor temperature.On the original Pax sometimes the vapor temperature get too hot. Does it get better on Pax 2?Is the Pax 2 vapor colder or hotter than on Pax 1?? At the same temp settings, the Pax 2 vapor is a bit smoother and tastier, but the max temp on the Pax2 goes up to 420f whereas the Pax1 went to 410f, so it can actually go hotter if you set the Pax2 to temp4. I generally prefer temp 2 and 3, and I find the vapor to be more enjoyable than from the Pax1. However the main improvement to me is the cleaning/maintanence reduction. 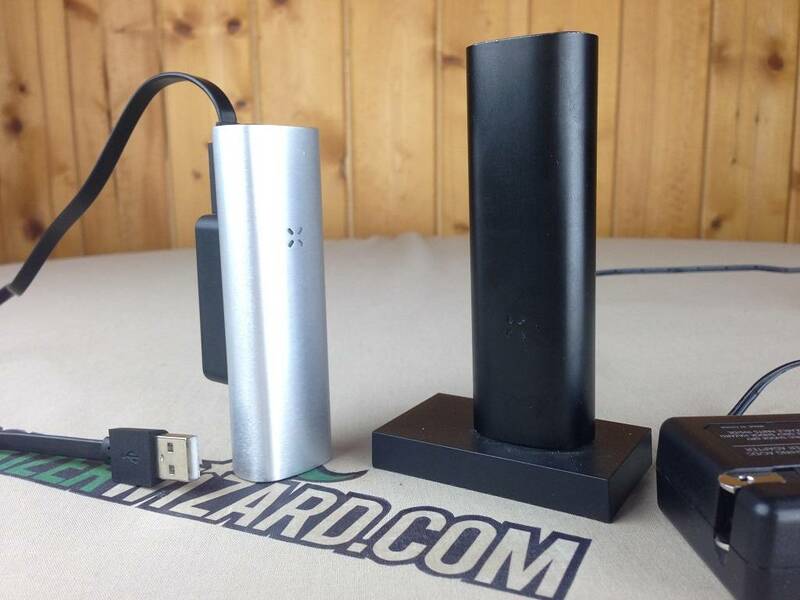 The Pax 2 is much better at using smaller load sizes than the original. The new heating algorithm is focused on the temp of the herbs rather than the temp of the chamber so it does a much better job at realizing different load amounts. I also noticed that the first couple hits taste a little better but still kind of drops off like the original Pax. The extra mouthpiece is pretty much just like the original Pax but I’m not a huge fan because it’s not quite as inconspicuous as the new flush mouthpiece. They both have their purposes though. I really think it’s worth the investment to get the Pax 2. The one thing you didn’t mention was the cleaning. The cleaning involved on the original Pax is pretty hefty and the new Pax 2 removed the power button/temp change button from the vapor path. So it’s much easier to clean and maintain. Easier to change temps, broader temps, easier to turn on/off, easier to clean, easier to use, smaller, more powerful, USB charging… Def worth IMO. Thanks for checking out my site and let me know if you have any more questions. Great reply and very politically correct. Question, with the original Pax, if you pack it tight, how often should you repack it before the contents are no good or not doing the trick anymore? Hey Buzz! Just wanted to say thanks for the dank review. I’ve owned the Pax 1 for a couple of years now and after reading your review I feel like selling mine and going with the Pax 2. The cleaning and the charging really wasn’t the most efficient but it seems like that was solved with the new one. The only question I have for you is how is the draw on the Pax 2? I felt like there was some resistance when drawing the air out on the Pax 1. I was hoping they would make it easier on the Pax 2. Thanks again! Still have a bit of draw resistance on the Pax 2 but I feel like not quite as much as the original. I always try to open up one side of the chamber while i’m drawing and that helps me get some more air flow in there. The cleaning is the main pro. I absolutely love the fact that the Pax 2 will just work. No more mouthpieces gunking up or anything. It just works. Thanks for the compare. It helps a lot. 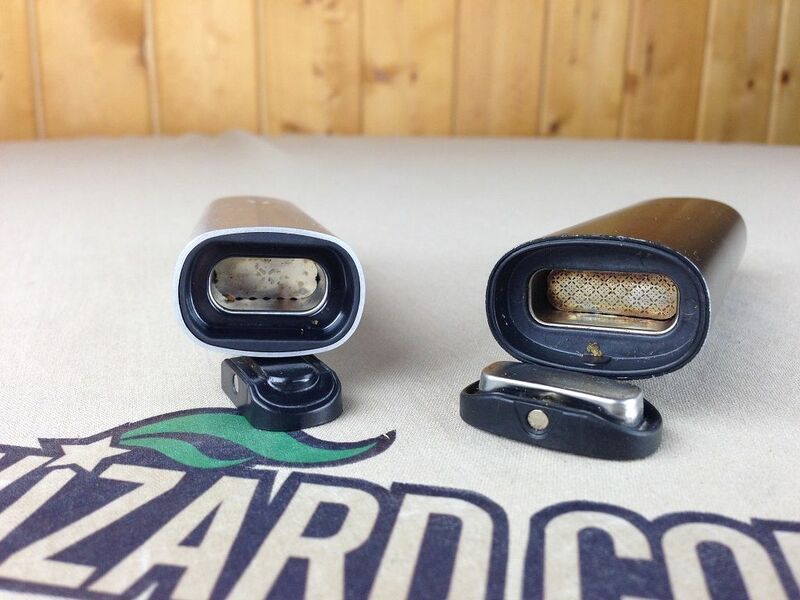 Just one comment about the cleaning… if your vaping material is dry, then your Pax won’t get gunked up as much. I learned this tip from the folks at Magic Flight. The way they said is that it should be “bone dry” to optimize the life of a vaporizer. They were right! The trick is to let it dry out a few weeks so the water is mostly gone, but not too long so the vaping material still retains its potency. Works great for me, and cleaning either my Pax or Magic Flight Launch Box is as easy as tapping it and it all falls out. I run a pipe cleaner through the Pax maybe every 10 sessions. The mouth piece just requires a quick buff between sessions. Thanks for the review Buzz. A friend has the Pax 1 and let me try it in the summer. She told me about the Pax 2 and I researched them both. This review pretty much sold me on the newer model. I’m a little anxious about buying online so I went to The Peace Pipe in Oshawa Ontario to buy it in November, 2015. The vape and a small hand grinder came to a little over CAN$500. I was reluctant to spend that kind of money but I think I’m in this for the long ‘haul’ and the reviews were good so I decided to spring for it. I have COPD and as such I can’t smoke joints anymore. Cooking with pot/oil seems like such a hassle. So far I’m quite impressed. The pot seems to last so much longer than smoking it. The Pax will pay for itself in no time. Yesterday I received my first 30 grams of medical doob. Yee hah! Really glad to hear about your experience, thanks for sharing. Your review was excellent. It made my decision for me. Great review, I saw the comment about the draw earlier. What percentage would you say the airflow has increased? If they are bot cleaned and good to go does the pax 2 have a noticeable more air flow and more vapor because of it? Or does the pax 2 still feel like you are sucking through a straw like the pax 1. I am use to using box mods an vaping RBA though so I do like more airflow. The pax1 just feels like it is collapsing in my lungs sometimes. I hear the mighty has a GREAT air flow and therefore produces a great draw. I really wanted to get the pax 2 but I already have the original so I would be a fool to waste my money like that. Why is the might 400$??!!! The pax 2 is 200$ which is not bad compared to when the pax 1 came out. And with your experience is it worth it to buy a nice mouth piece even though I cleaned it as best I could?? Will a brand new mouth piece on the pax 1 get so gunky in places you cant even really clean it right and get ALL of the gunk out and get it like it is brand new? Is it possible to even clean them to where they feel like they are brand new? The Pax 2 with the half-pack lid would blow your mind. The cleaning and maintenance is nowhere near as bad as the Pax 1 and it’s much more consistent overall. The draw resistance is not as bad as the original Pax, but still not as good as the air flow on the Mighty/Crafty. I think you would really appreciate the upgrades on the Pax 2.